CLOSEOUTS. 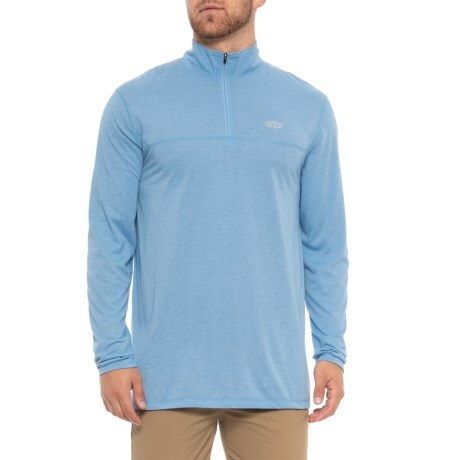 AFTCOand#39;s Connery zip neck shirt keeps you comfortable while wetting a line thanks to its moisture-wicking, odor- and stain-resistant, sun-blocking performance fabric. Available Colors: MAGNUM BLUE. Sizes: S, M, L, XL, 2XL.